﻿ Skinfood Black Sugar Mask Review: Is This Product Worth Buying? SKINFOOD Wash Off Black Sugar Mask is marketed as a gentle exfoliant that uses unrefined black sugar to sweep away dead skin and pore-clogging impurities to brighten and perfect your overall complexion without causing dryness or irritation. 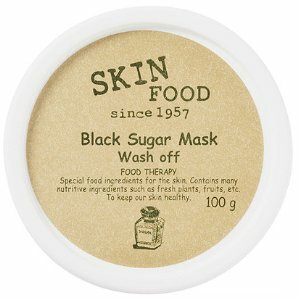 SKINFOOD Wash Off Black Sugar Mask utilizes unrefined black sugar to deeply exfoliate the skin and clear clogged pores. 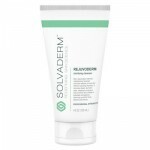 The same ingredient that exfoliates the skin is also a natural humectant. This means, with continued use this scrub can actually refine the skin and draw moisture into the skin, plumping up the look of imperfections and preventing dryness and irritation. For best results, gently apply SKINFOOD Wash Off Black Sugar Mask to your cleansed skin. 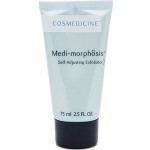 Massage the product into your damp skin, avoiding the delicate under eye area and lips. Allow the product to sit on your skin for no more than 15 minutes before rinsing away with lukewarm water. For optimum, anti-aging and brightening results, follow up with your preferred moisturizer and an SPF of at least 30 during the day. SKINFOOD Wash Off Black Sugar Mask retails for $10.00 per 3.5 fl. oz. of product on several very well known skincare retailer websites. Unrefined Black Sugar: This ingredient sweeps away dull skin and pore-clogging impurities. Shea Butter: This ingredient binds moisture to the skin, preventing dryness and irritation. SKINFOOD is a well-known, trusted skincare brand. This exfoliating cleanser uses natural ingredients to unclog pores and perfect the skin’s tone and texture. This product uses natural humectants to prevent dryness and irritation. Customers claim this product’s benefits are very temporary. This product contains several ingredients that are not suitable for those with oily or acne-prone skin. 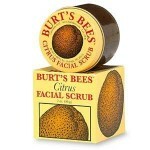 This scrub is not fragrance-free. SKINFOOD Wash Off Black Sugar Mask claims that its use of unrefined black sugar is the perfect natural remedy for those that want clear, bright skin. Although this may sound like the organic solution you’ve been looking for, there are several issues we’d like to address before you consider purchasing. This scrub contains several ingredients, such as Candelilla Wax and Lanolin, which are not suitable for those with acne-prone skin. 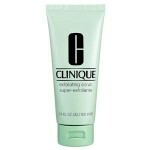 It’s not surprising to see, in several customer reviews, that this product actually caused breakouts and dryness. This product also contains fragrance, which is not suitable for any skin type. We’d recommend continuing your search for an exfoliating product that suits all skin types, contains proven ingredients that gently remove impurities, and skip on unnecessary irritants. SKINFOOD Wash Off Black Sugar Mask is sold on several very well known skincare retailer websites. These sites have very reasonable return policies. If, for any reason, you are not happy with your product simply return it within 30 days with proof of purchase for a full refund.